"Someone is trying to take away the Florida Keys' culture, and I am not going to stand for it"
An author has created quite the controversy after claiming the Florida staple was not actually a product of the Sunshine State. Florida Keys culinary experts are furious about a cookbook author's claim that Key lime pie wasn't invented in the island chain. David Sloan, author of "The Key West Key Lime Pie Cookbook," said his research proves Key lime pie existed before 1931. "Someone is trying to take away the Florida Keys' culture, and I am not going to stand for it," he said. Sloan said the Keys' signature dessert was perfected in late 1800s Key West by a woman named Aunt Sally, who adapted sponge fishermen's custom of blending stale Cuban bread, sweetened condensed milk and Key lime juice. 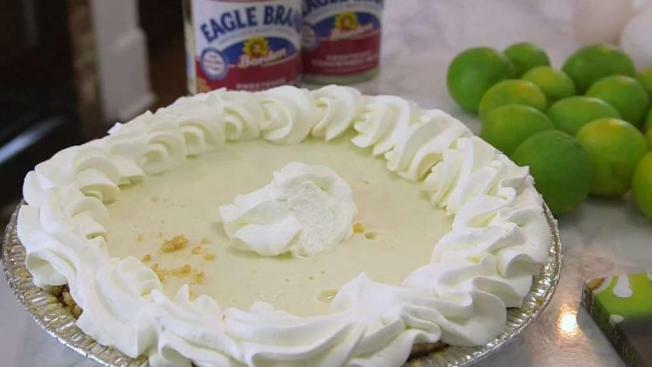 "The people of the Keys believe the first Key lime pie was invented by sponge fishermen who went out in their rafts for several days and took supplies," Sloan said. "We think that they took stale Cuban bread and moistened it up with sweetened condensed milk and then took wild bird eggs, squeezed some lime over it, let it sit in the sun and there you had the first Key lime pie." In 2006, Florida's legislature voted Key lime pie as the state's official dessert. The celebration was staged in Key West. A message seeking comment from Parks wasn't immediately returned.